Oh hello, there! It’s been a busy couple of weeks over here in Amy land. I hope you all had a great Thanksgiving and December is getting off to a good start (err…first half?). Things are going pretty good here, both in terms of running and life in general. 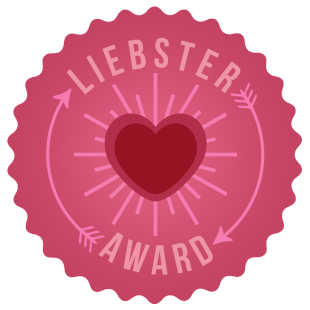 I’d love to get you all caught up, and I promise I will eventually, but right now…I was tapped for a Liebster award! It’s been making the rounds, so I’m sure you know what it’s all about. If not here’s the gist: an awesome blogger nominates you (in my case it was the fantastic Sweaty Mess), you answer the questions they ask, then you nominate some other awesome bloggers, and give them questions to answer. Easy peesy! Now, I should probably answer all 15 questions I was asked, but I’m short on time (theme of my life lately), so I’ll just answer whatever I can before it’s time to go to bed. 1) What is my current health related goal? The Runner’s World Holiday Running Streak! 2) What is my biggest irrational fear? Vomit. I know that no one likes vomit/vomiting, but I’m afraid of it the way other people are afraid of spiders, heights, the dark. And, I don’t mean germaphobia here (that’s another fear I have, but I don’t think that one’s irrational). 3) Do I enjoy wrapping presents? For about 5 minutes. It gets tedious, real fast. 4) What’s my favorite cross training activity? None. I only like running. 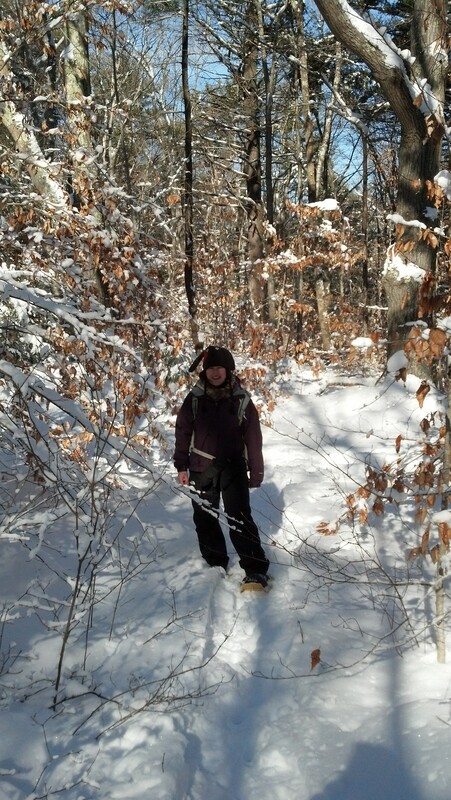 I would say snow shoeing, except I probably have to do an activity more than twice a year for it to count. 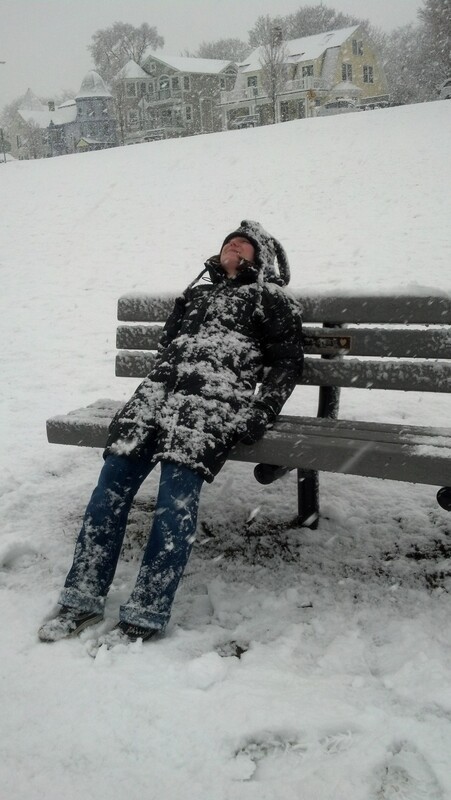 5) I have 2 weeks off work and 2 round trip plane tickets to ANYWHERE. Where would you go and who would you take? I’d go to New Zealand/Australia w/ Jeff for 10 of those days, and hang around the house doing nothing for the remaining 4. 6) Okay so I HAVE to eat a fast food meal. What restaurant would I choose and what do I order? 7) Share a pic of myself in non-workout clothes. You were looking for something nicer, weren’t you? 8) If I could choose to have a ‘do over’and switch careers, what would I choose and why? I just did a do over…I’m a former engineer, one month into my career as an actuary. And why? Well, we don’t have time to get into all that. 9) What do I want for Christmas? A relaxing day with my family. Now, time to nominate some other bloggers! I’m sure some (if not all) of you have been nominated before, but well…not by me! And, if you’re not on the list but want to answer some questions, please join in! Do you speak a foreign language? If so, how do you say “I love to run!”? If not, which language would you like to learn? What’s your least favorite household chore? Do you enjoy running when you can do whatever you like, or do you prefer to have a training plan? Share a favorite holiday tradition you have. Wooohooo! Thanks for the nomination! I will have to do this asap 🙂 Oh and we need to talk about doing a last minute Christmas scavenger hunt together! Yes! We should probably try and get it up before Christmas! Haha. Hey! I have no idea how to contact you about this, so email me at kristen.kupperman@gmail.com and we can come up with a list! I’m down for coming up with something quickly and then trying to find as much as I can before Christmas! 1. I kind of speak French, a little. I believe it’s “J’adore courir.” But don’t quote me on that. 2. I hate taking out the trash and doing dishes equally. 3. I like running without a plan, but I tend to run more when following a training plan. 4. My favorite holiday tradition is watching “Scrooge” on Christmas Eve with my parents and sisters. Usually wearing jammies and drinking spiked eggnog. 5. The first actual paycheck job I had was washing dishes and bussing tables during the breakfast shift at a hotel (probably why I hate washing dishes). I love that non-workout clothes picture! Yay! Looking forward to your answers! I’ve wanted to go for a while but it’s so far that it’s going to need to be a longer trip!